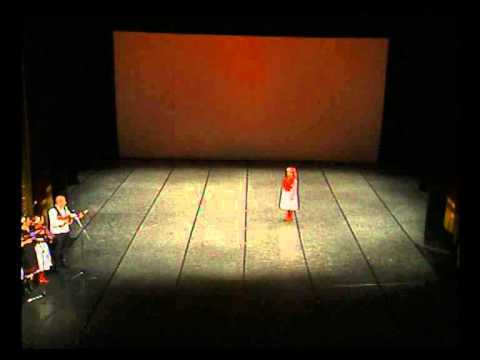 "Pivaj, sine, da Hrvati žive"
16.12.2012. in the Concert hall "Vatroslav Lisinski", Zagreb, at 19:30 PM. 09.06.2012. in the hall of the House of Croatian Army , "Zvonimir" Stančićeva 4, Zagreb, at 19:30 AM. 10.12.2011. in the hall of the House of Croatian Army , "Zvonimir" Stančićeva 4, Zagreb, at 19:30 AM. Prema kazivanju i snimkama moje prabake EVE IVANČAN, rođene Jaković (1879. ), koje je napravio moj otac 1957. godine. Three years passed since our great mentor left us. Life passes by, everything changes. To us, he left something bigger then life - his art, forever. 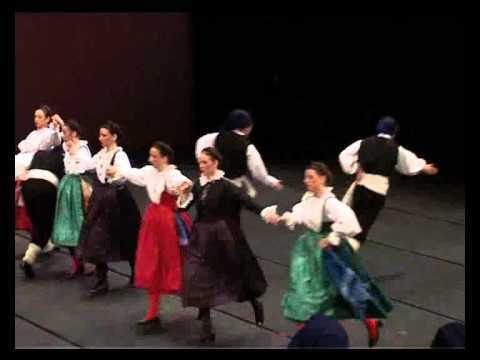 At Saturday, March 11, 2006, 4th Festival of Folklore Choreography took place at Slavonski Brod. Twelve choreographers presented their pieces performed by nine Cultural and Artistic Companies and Ensembles from all parts of Croatia. 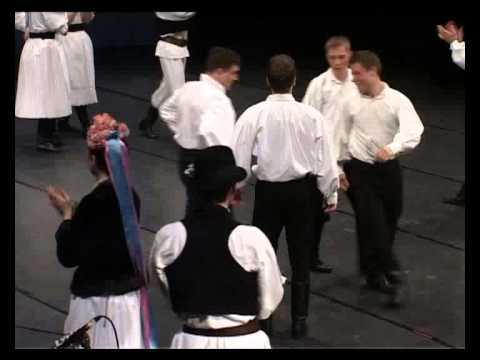 This year Zagreb Folk Dance Ensemble Dr. Ivan Ivančan presented two choreographies and both of them achieved major success. 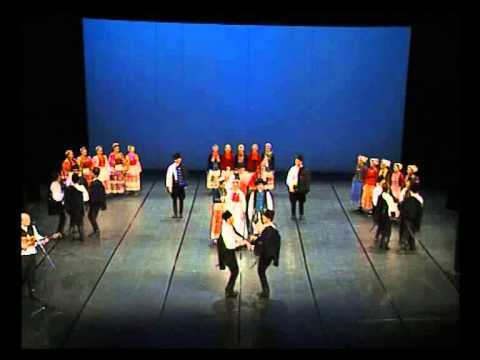 Songs and dances of Rama, choreography by Vladimir Kuraja named «Nema lipšeg u godini dana od Božića i Svetog Stipana» («There is Nothing More Beautiful in a Year Than Christmas and St. Stipan» (engl. 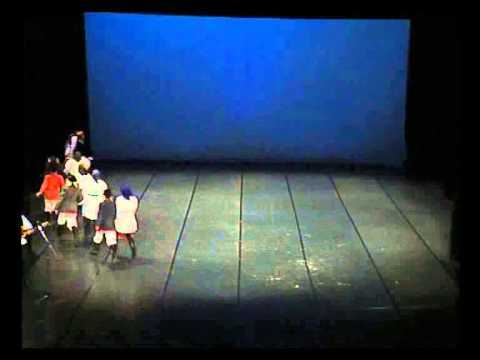 = Boxing Day)) won the Third Place, while the Andrija Ivančan's choreography «Mikor konje po polju zjahava» («Mikor is Driving Horses in the Field») which presents rarely seen dances from Međimurje won the First Place. This is Andrija Ivančan's third triumph at the Festival in the row. Once again he has confirmed the virtue of his artistic creation. Media about the show: Večernji List - 20.12.2005. Past year has been very dynamic and working. A lot of effort was invested in creation of the very demanding program with which the Ensemble has introduced itself at the one-month tour trough USA and in December celebrated 60th Anniversary of the Ensemble and 55th Anniversary of the artistic work of our mentor Dr. Ivan Ivančan. We would like to use this opportunity to thank all good people which have contributed to the organization of our last year's tour and enabled us to present Croatian tradition all around the USA. Memories and new friendships that we brought back home to Croatia from San Pedro, Los Angeles, Sacramento, San Jose, San Francisco, Minneapolis, Duluth, St. Paul, Chicago, Milwaukee, Cleveland, Youngstown, Pittsburgh and New York are most precious for us. 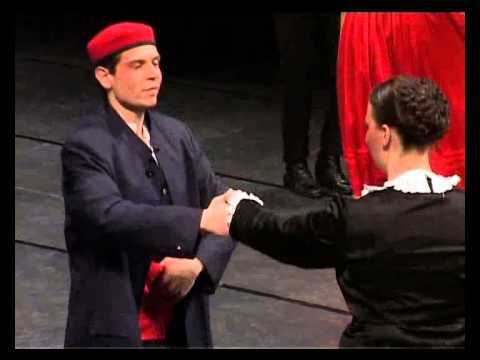 Especially we would like to thank our dear «Vlahovićanci» - families Đukić – to Anita, Zoran, Lidija and Saša, who have done everything so Zagreb Folk Dance Ensemble could get the opportunity to be seen in San Jose and San Francisco where they live now. 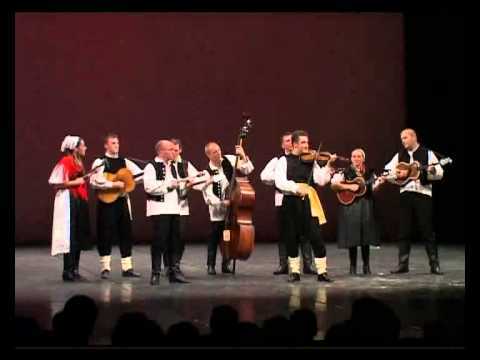 All the effort and their free time which they have spent on not an easy organization of this part of the Tour are indicators of the true love to folklore, Croatian cultural heritage as well as the love towards the Ensemble in which they have spent many years. The moments spent with them were filled up with very strong emotions and we consider it the absolute peak of our season. At the same time, we thank to Mr. John Dayle and the Croatian Cultural Center in San Francisco, Mr. Mariani and «Mariani's Inn» where we were accommodated, families Sertić, Šimunić, Mr. Aldo Stramberg with family, Mr. Leo Andres with family, family Slade and «Del Monte Restaurant» and especially to the Assumption of Mary Catholic Church of the Croatian Catholic Parish and the Croatian Folk Ensemble «KORACI» to which we wish many successful performances and gatherings and also we exceedingly thank them for the donation of 1500 USD as well as to many other unknown people which have all together contributed with approximately the same amount so the Ensemble could cover the expenses of the airline tickets. Our staying at the Croatian-American Club in Sacramento was short, but the memories stayed as equally strong as with the other cities. We thank to all dear people in Sacramento and to Mr. Milo Župan, the President of the Croatian-American Club for the warm welcome and the unexpected donation of 3000 USD for the covering the cost of airline tickets. This way we also would like to thank to family Mikšić and Cortec Corporation. Mr. Boris Mikšić and his lovely spouse Anna organized our stay in Minneapolis, and we cannot forget Mrs. Ivana Boršić – Radić who has been taking care about us all the time and Mrs. Mae Schunk, the Deputy of the Governor of Minnesota, who has opened our show in Minneapolis. After Minneapolis, we visited Chicago were we were welcomed by Tamburaško - Plesna Skupina "Hrvatska loza" and «Hrvatska baština». We kindly thank Mrs. Darinka Povrzenić, Mrs. Jelena Živko, Mrs. Marica Zorica Matkovic, the Consul General of the RH in USA as well as many other good people by which we have been surrounded and who did everything for our stay in Chicago would stay unforgettable. The part of the Tour from Milwaukee to Pittsburgh was under the patronage of the CROATIAN FRATERNAL UNION and we thank Mr. Bernard M. Luketich, the President; Mr. Joseph M. Brigich, the Vice President and Mr. Edward Pazo, National Secretary/Treasurer who also spent this part of the Tour together with us on the road and we also must not forget Milwaukee CFU Tamburitzans and Mrs. Patsy Lucas (Milwaukee); Cardinal Stepinac Croatian National Home and Mrs. Kata Stepić (Cleveland); Mr. George M. McKelvey, the Mayor of Youngstown, Mr. John Seeco, «Ljubica's Tamburitzans» (Youngstown). 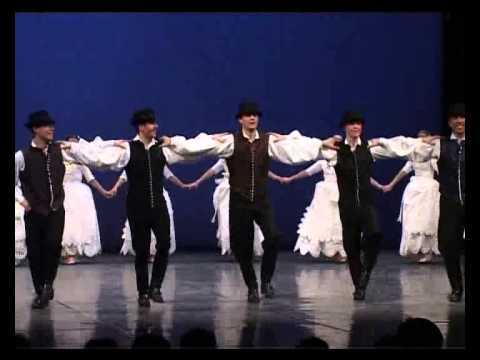 One of the most beautiful compliments one Ensemble could get is when in the audience at their show you find all members of the another Ensemble. 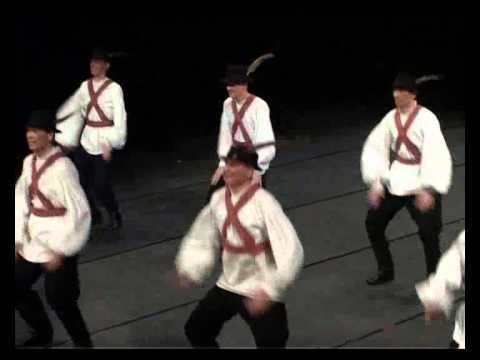 Especially, when it is the well known and magnificent «Duquesne University Tamburitzans». We thank to all members of the Ensemble for the support and especially Mr. Paul G. Stafura, the General Manager. In New York we have spent last 4 days of the Tour and first of all we would like to thank Mr. Zvonko Crnogorac and his family for all of the effort. Equally we thank the Church of St. Cyril and Metodius at Manhattan, fra. Ivica Majstorović who donated to the Ensemble 500 USD, fra. Robert Zubović, Mr. Petar Ljubičić, the Consul General of RH in New York, families Marić, Gadže, Šprajc, Jelić, Zovko, Ćurdo, Bevanda, Pavković, Luburić, Brajdić, Gagula, Šimunović, the family of Miro Dugandžić and «Hercegovačkom klubu» we thank for the donation of 1500 USD and all others for the generous donations. Los Angeles was the first city at our Tour and because of that we have left it for the end. 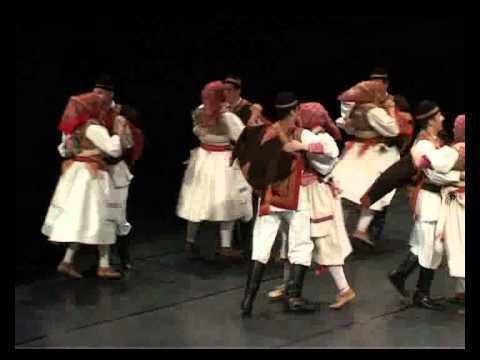 First of all we would like to thank Mrs. Natali Sutlovic, the general coordinator of the organizers of the Zagreb Folk Dance Ensemble visit to L.A. Without her dedication and persistence all of this maybe could not have been possible. Also, we thank her assistant Miss. Mary Bumbak who completely won our hearts and furthermore our organizers “Dalmatian-American Club”, “Croatian Cultural Center” and “Croatian-American Club”, Mr. Gojko Spralja, Mr. Damir Tomka, the Consul General of RH in California, Mrs. Eva Peričić, Mrs. Augie Bezlaminović, Mr. Jeff Bačić, Mr. Niko Bumbak, Mrs. Jennifer Zivkovic, Assembly member of Betty Karnette’s office, Mrs. Janice Hahn, City Council Member; City of Los Angeles; District 15, Mr. Antony Mestich, Honorary Mayor of San Pedro and msgr. Srećko Diomartić. We are aware that many are not mentioned in this letter of thanks, but the limitation by text does not lower our gratitude. This letter is dedicated to all who have been a part of our Tour in any way, as organisers, hosts, donators, bus drivers or the part of the audience on any of our shows. For U.S.A. Tour Diary click here! For Another Side of the Tour click here!